It may not have the ring of “Tegra 5,” but the successor to the Tegra 4 should make many gaming enthusiasts quite happy. 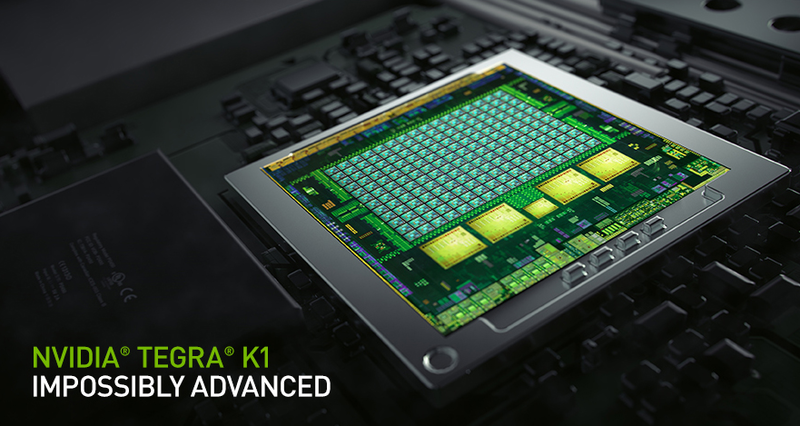 At a press conference yesterday, Nvidia CEO Jen-Hsun Huang unveiled Tegra K1, a new SoC that, in its first incarnation, should be available in tablets by mid-year. The chip sports two CPU configurations (more on that in a bit), but share a 192 CUDA core GPU based on the unbelievably-popular Kepler architecture. Kepler is an extremely scalable GPU framework that, until now, has powered enthusiast graphics chips for desktops and laptops and, at the high end, heavy-duty workstations cranking out millions of simultaneous processes in parallel. While Kepler was always expected to come to the Android market at some point, Huang’s announcement was still met with a considerable amount of awe. Partnering with Epic Games, Nvidia plans to use the K1 as a launching platform for the Unreal Engine 4, the successor to the incredibly-versatile UE3 that powered games on PCs, Xbox 360 and PS3 and, later, iOS with Infinity Blade. The K1 will be the first Android-capable chip to run UE4, and while specific titles haven’t been announced, it marks an important moment for Google’s mobile OS. Huang even made the bold claim that the K1 in its current form can outperform the silicon inside the Xbox 360 and PlayStation 3. While there aren’t exactly 192 GPU cores inside the K1, the Kepler architecture is designed to mimic the multiple virtualized threads of a supercomputer, similar to the way Intel uses Hyperthreading to break down individual cores into multiple subcomponents to accomplish thousands or millions of computing tasks at once. Returning to the CPU component, the K1 will ship in two versions: a quad-core 4+1 Cortex-A15 version which, like the Tegra 4, sports a relatively high clock speed but isn’t very power-efficient. The four A15 cores will run at a maximum of 2.3Ghz, much faster than Tegra 4’s 1.9Ghz, but the architecture itself is otherwise unchanged. The second half of 2013 will be more important for Nvidia, though, as it debuts the first CPU from its custom-designed Denver line. Like Apple’s A7 chip, Denver is a bespoke 64-bit architecture, designed by Nvidia in-house, capable of pushing two cores to 2.5Ghz. Though the chip is in prototype phase right now, and will take until 2015 to ship in quad-core versions, Denver is clearly Nvidia’s mobile future, and should push a lot of pressure on Qualcomm to achieve similar performance from the ARMv8 architecture. It’s unclear whether the K1 will have LTE support from the beginning, but if it wants to compete with Qualcomm for the smartphone space it won’t have much of a choice in the long-run. 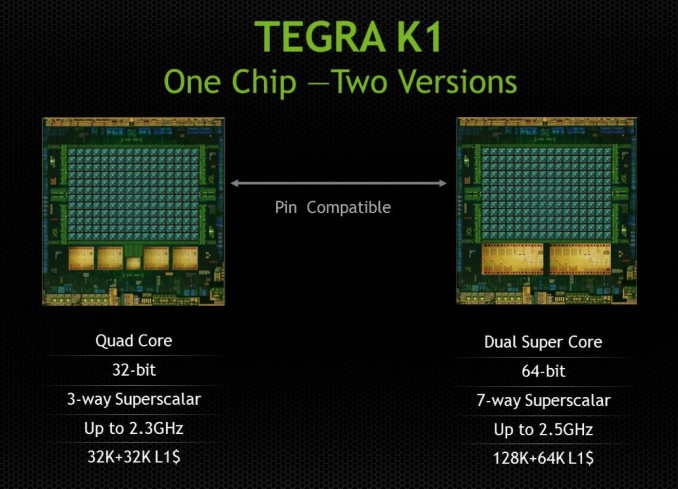 Nvidia Tegra 4 to be built on 28nm process, based on Kepler architecture?